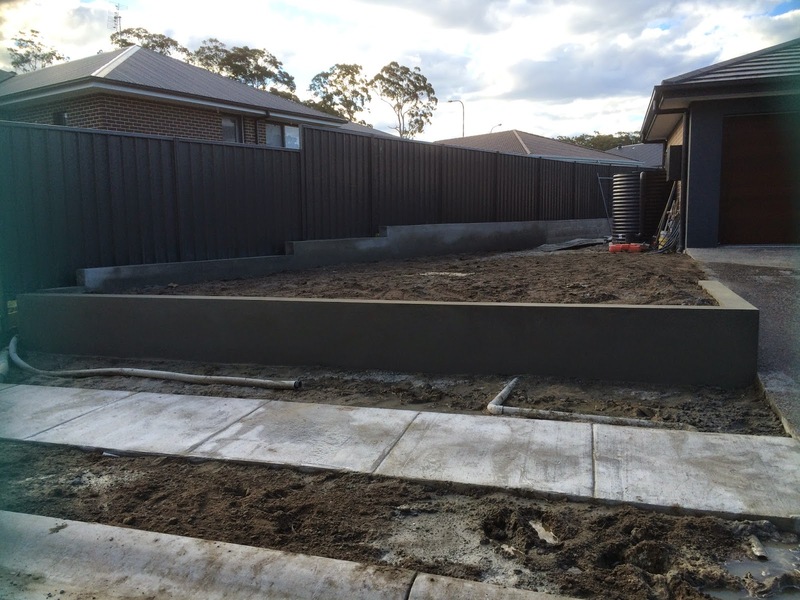 The renderers we onsite yesterday to render our front retaining walls, and they look unreal. 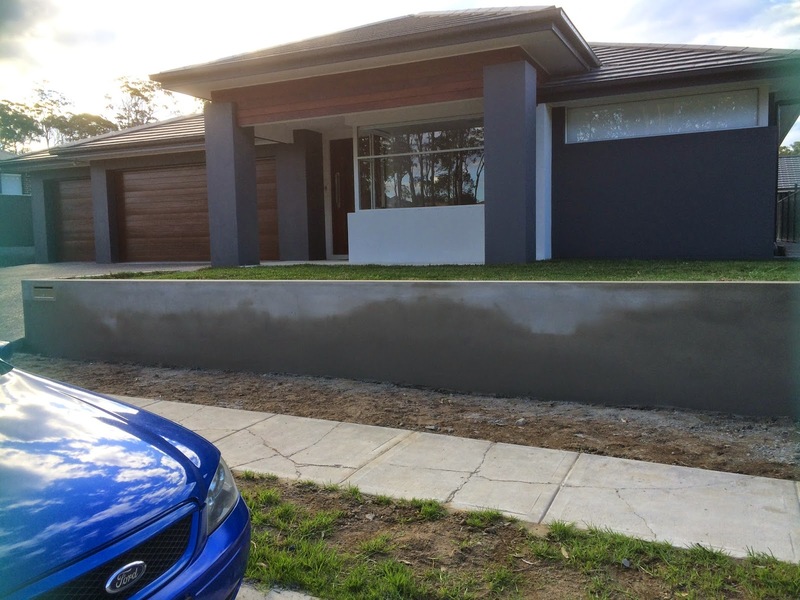 Need to let them dry out for 2 weeks before I can paint them, which will be Knight Grey - the same dark grey on the facade render. 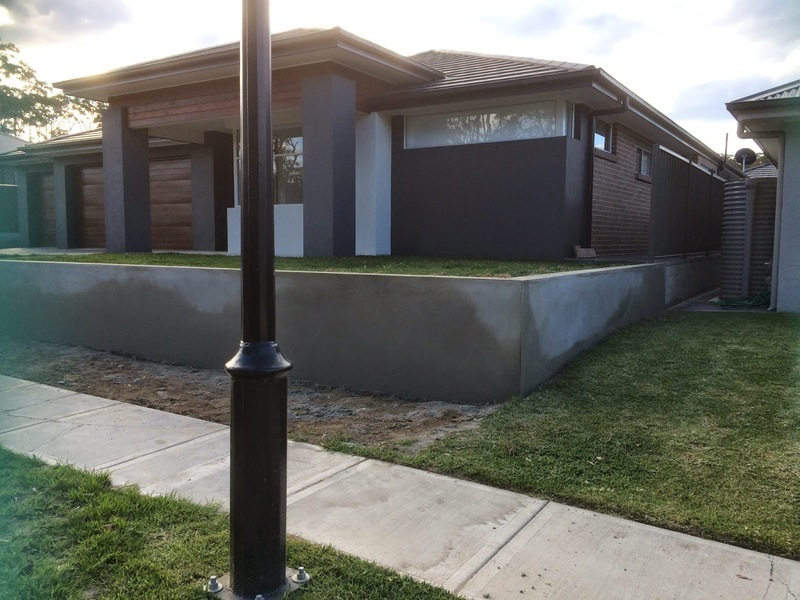 Rawson's plasterers have arrived this morning to start fixing up the plaster defects throughout the house, and will hopefully be finished tomorrow.